A Japanese herb and a few simple ingredients work together to create tasty, colorful food and drinks. Learn about shiso, its use and how to raise it! When you come across akashiso or perilla frutescens of the crispa variety, its botanical name, it looks rather unassuming. 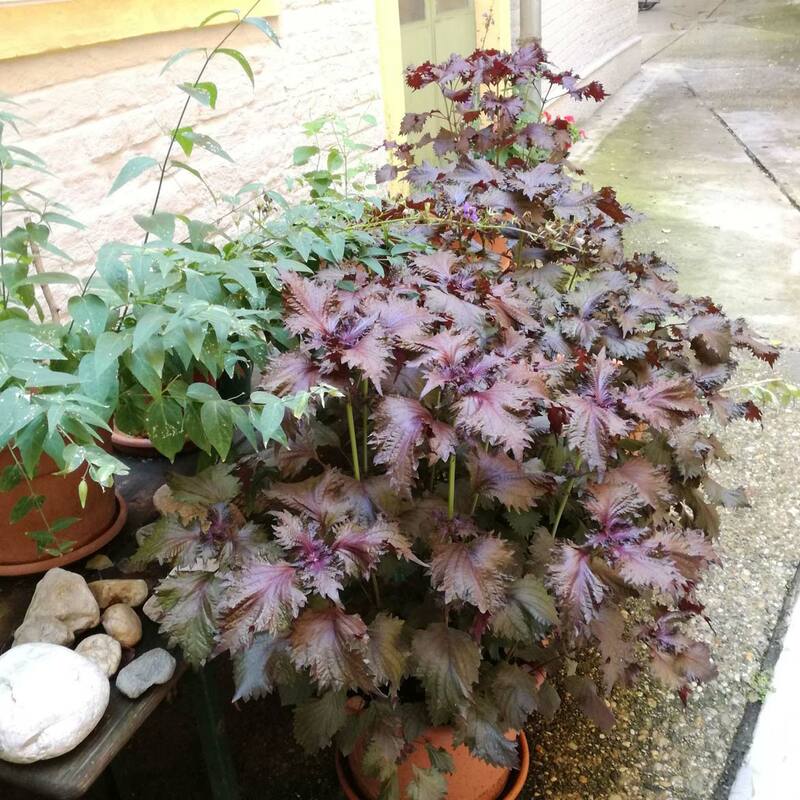 A tall plant with red-purplish jagged leaves, maybe with tiny pink blossoms. But red shiso is a key ingredient in the Japanese diet. 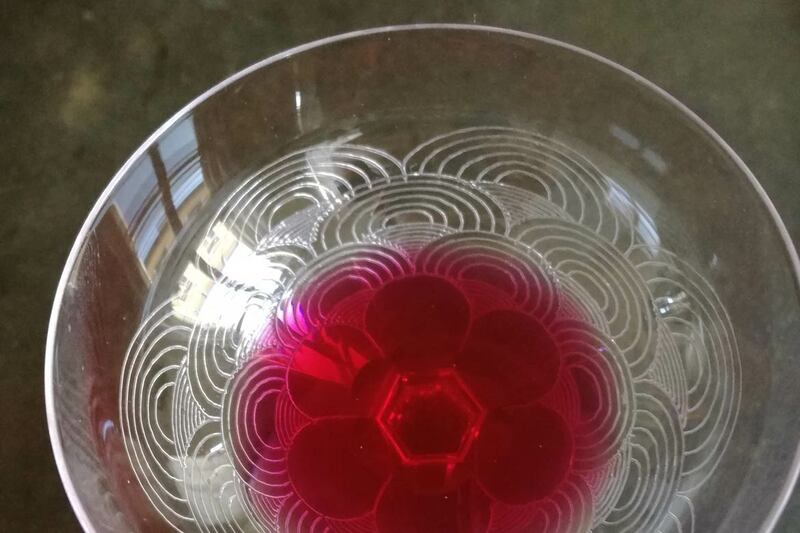 Umeboshi turn from a muted orange to a deep, pinkish red, beni shōga takes on a much more striking hue than the salmon pink of gari and if you add the juice to water, it becomes the one of the most beautiful drinks I‘ve ever seen. But let‘s start at the top: The herbs belonging to the perilla family are cultivated all over Asia. The plants can grow over a meter tall, with leaves ranging from small to large, depending on the amount of sunlight and heat they get. They all have jagged edges and tiny blossoms. Originally perilla stems from India and/or China, but now a lot of countries have their own varieties and uses. Perilla frutescens has green leaves and is used in India and China, but especially in Korea, where „kkaennip“ is either used fresh, blanched or pickled. The seeds – „deulkkae“ – are used for seasoning savory or sweet dishes or pressed to produce oil. The leaves of perilla frutescens used in Vietnam are green on top and red on the other side. „Tía tô“, as it is called in Vietnamese, is used in a lot of dishes, but also in pickling. The perilla plants most commonly used in Japan are red shiso – „akashiso“ – and green shiso „aoshiso“. Though green shiso is much more common today, it has only been grown since the 1960s, but its fresh taste and the introduction of artifical colorants has made aoshiso much more popular than its red-purplish relative. The big green leaves or „ōba“ can be spotted at Japanese food markets and are a popular addition to sashimi or are used to hold wasabi, grated daikon radish or other garnishes. Apparently, in summer you can make delicious maki with green shiso leaves and umeboshi, but my experience is mostly with the now less popular red shiso, since my green shiso seeds didn‘t sprout when I first planted them. But the red shiso did and did it ever. It grows so well, it‘s no wonder red shiso was used as a decorative plant when it was introduced in the West! It‘s also known as „beefsteak plant“ for some reason, but it doesn‘t taste much like beefsteak. Both red and green shiso have their own unique taste, which I really love, but you might want to try it in a restaurant, at a friends‘ or buy some from a store before you grow a shiso plantation like me. I do use it all, though. The first thing I ever made with my red shiso leaves was shiso juice. 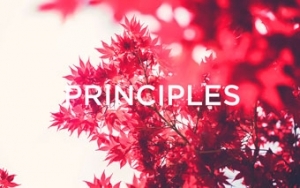 It comes up in the film „Arrietty“ or Kari-gurashi no Arietti, a film by Hiromasa Yonebayashi and Studio Ghibli, where Arrietty brings home a shiso leaf and her mother says she‘ll make juice out of it. Basically, you add a lot of shiso leaves to boiling water and let them simmer for a bit, then strain them. Adding citric acid or lemon juice will turn the liquid from dark purple to dark pink. A bit of sugar is added to make the juice sweet and then it can be bottled and stored in the fridge. I mostly dilute it with water, but it‘s also good with gin or vodka. 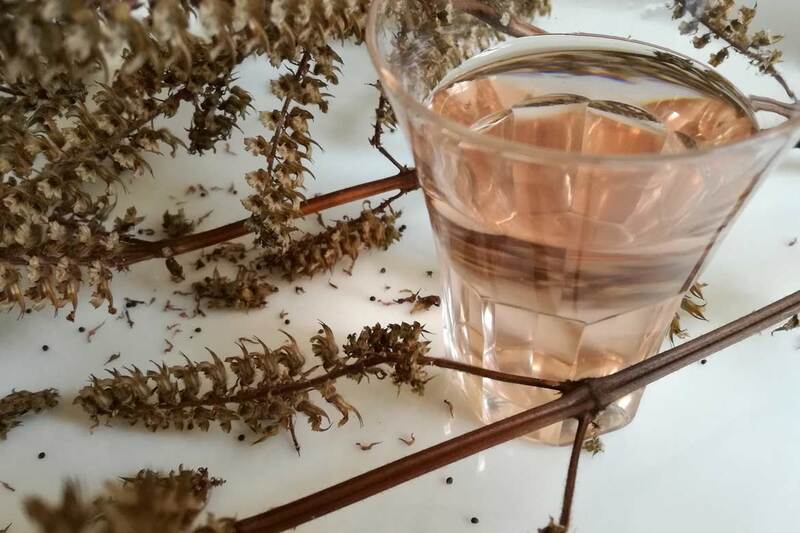 It‘s best to either wait until the plants have bloomed and the seeds have started to form or are even dry already to pick the leaves – or pick them as you go and make shiso juice in smaller batches all summer long. The second thing I made with my red shiso leaves was beni shōga. 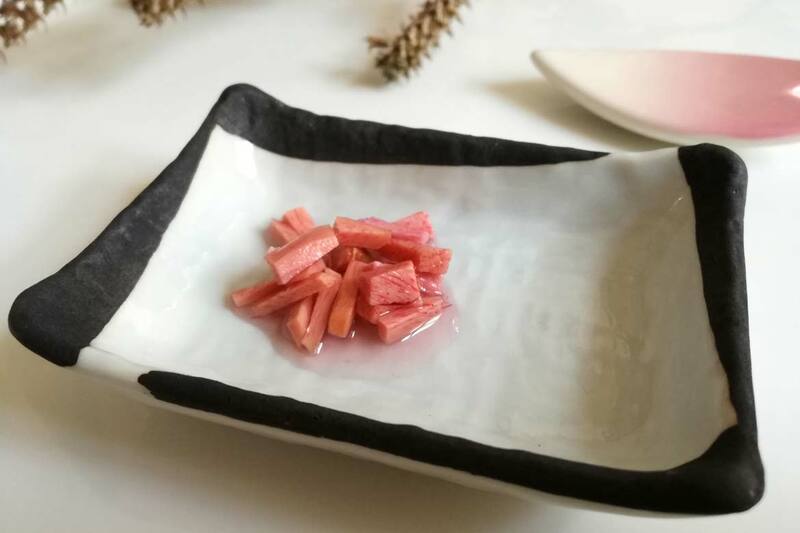 It‘s ginger cut into thin strips and pickled in umezu, a delicious byproduct of the umeboshi pickling process. 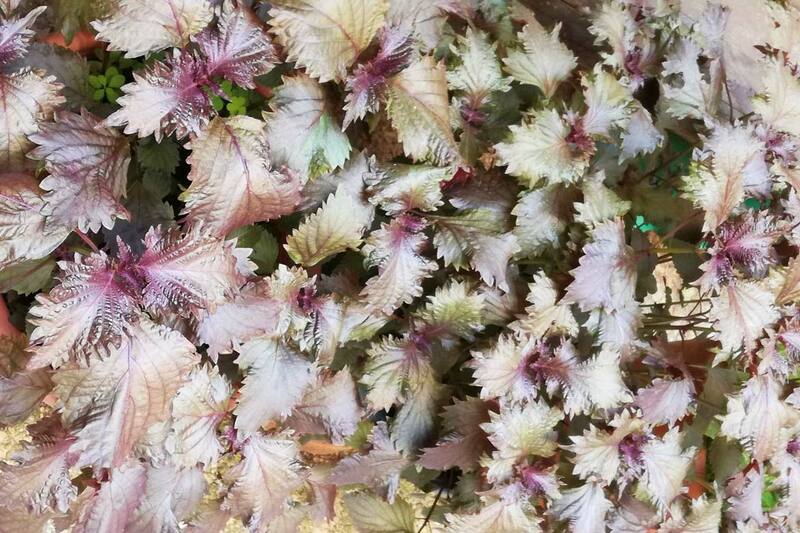 Red shiso adds the striking pink color, although if your beni shōga is very red, it‘s probably artificially colored. Beni shōga is absolutely delicious with everything. It adds a spicy, salty, fruity taste to okonomiyaki, yakisoba and various bowl or donburi dishes like gyūdon. It‘s also great just on rice, mashed potatoes, raclette or bread with cream cheese (don‘t judge me!). Making it is ridiculously easy, but requires a little time, so it‘s best to get a friend to help you. Just peel as much ginger as you‘d like, then slice it on a mandolin and cut those slices into strips or pieces. Sterilize some glass jars with hot water and let them dry. Layer the ginger with red shiso leaves, which you‘ve let wilt a little bit, then add enough umezu to cover the ginger about one centimeter. Put it in the fridge and let it pickle at least a week, but it will keep for months, even years, if used sparingly. 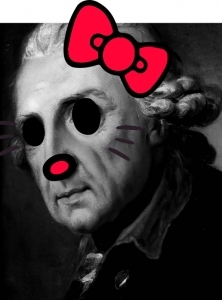 The longer you let it rest, the pinker the beni shōga will turn. I guess next up is yukari, a furikake or rice seasoning made out of dried, crumbled red shiso leaves. They need to be pickled in rice vinegar or umezu first, though, otherwise they‘ll just taste like dried leaves, but apparently done right, yukari is delicious. Good thing I saved up a lot of shiso seeds. Last summer I grew a lot and in my courtyard, which doesn‘t get a lot of sun, the leaves grew huge, larger than my hands! And so many seedlings sprouted, I had to transfer them to other pots, which was no problem at all, they kept right on growing. In the end, I had a shiso jungle, though. They are really easy to cultivate, though, which makes them perfect for beginners. Just make sure to either protect the plants from wind or tie the plants to wooden supports, since they‘re easily blown over. They don‘t need any special care except consistent watering and will grow well in pots. If they‘re exposed to a lot of sunlight, the leaves and plants will be smaller, but they‘ll still work in all the recipes. Red shiso is easier to grow than green shiso, since green shiso seeds need to be completely frozen first or else they won‘t sprout, but I‘ll give it a try and I‘ll report back! 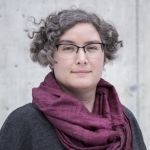 A librarian, historian and designer. Her interests can roughly be summed up as media analysis, art appreciation, creative production, and cats.